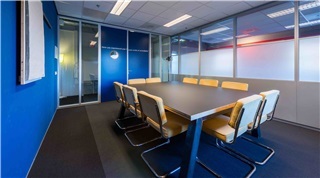 A spacious meeting space for large meetings with an LCD screen. The large, fixed table gives the room the idea of ​​a boardroom. 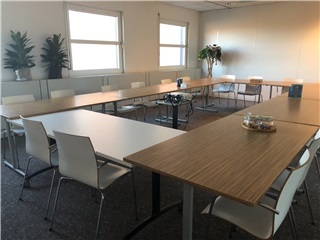 The meeting space is ideal for meetings, presentations or training sessions. A large and light meetingspace suitable for large meetings or training groups. 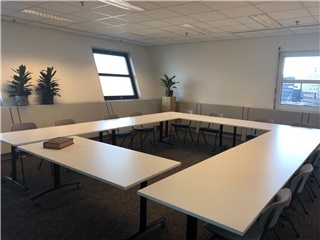 The meetingspace contains a fixed projector and sound system with a microphone, making the room ideal for events and small conferences. A spacious and flexible meeting space with many options. Especially suitable for large meetings, interactive workshops and meetings that require a flexible space. A flexible meetingspace that can be arranged flexibly and is therefore suitable for many purposes. Choose a setup yourself! for meetings, brainstorms, trainings and workshops. 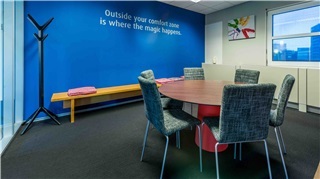 A nice space that is ideal for business conversations, coaching, brainstorms or meetings. A pleasant meeting space suitable for small meetings or business appointments. 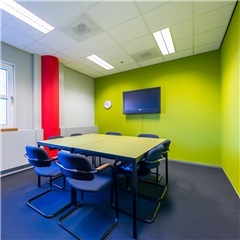 This meetingspace is ideal for meetings as ha a LCD screen for showing a presentation. 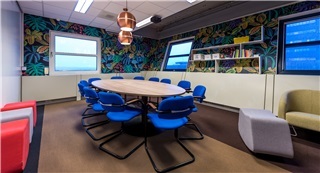 Synchroniciteit is a cosy meetingspace geschikt for smaller meetings and appointments. 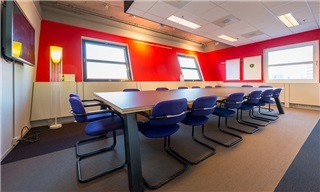 A spacious meeting space especially for team meetings. 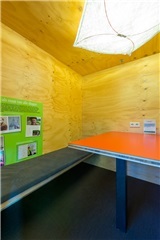 There is a whiteboard wall, a large oval table and a cozy seating area. 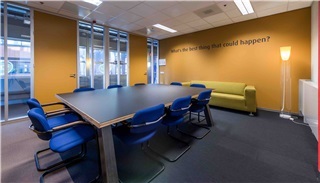 The meeting space is ideal for team sessions, retrospectives and scrum meetings. A flexible meeting space that can be arranged flexibly and is therefore suitable for many purposes. The ultimate space for training and meetings. This meeting space has a round table. The space is ideal for small meetings or intimate brainstorming sessions. In addition, the room contains a couch for a moment of rest or extension of the session. 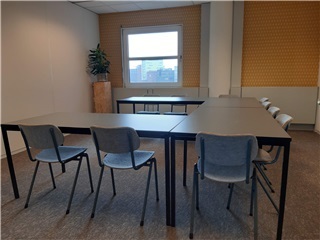 Cozy semi-closed space for short meetings or to work quietly (together). Cozy semi-closed spaces for short meetings or to work quietly (together). A flexible meetingspace that can be arranged flexibly and is therefore suitable for many purposes. Choose a setup yourself! For meetings, brainstorms, training courses and workshops. The space has a fixed projector and screen.